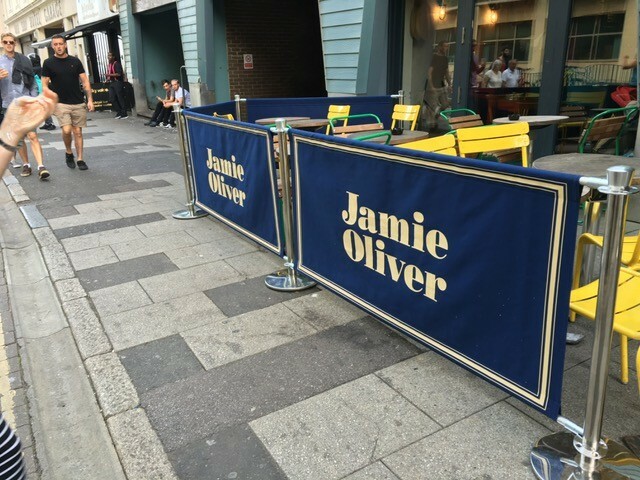 A Cafe Barriers System is the perfect way to create an outdoor seating area for your cafe, bar or restaurant whilst promoting your brand. 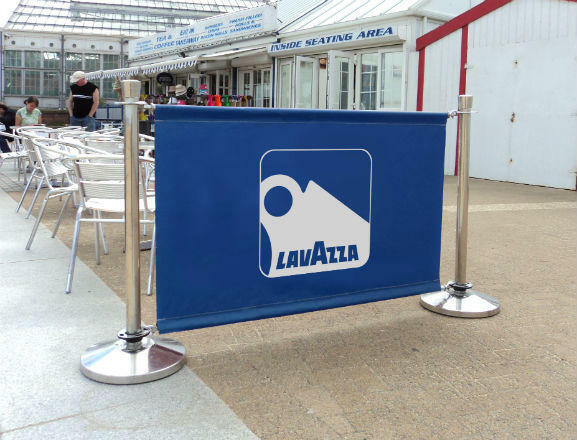 The barrier is completed with a PVC banner printed in your your own artwork. 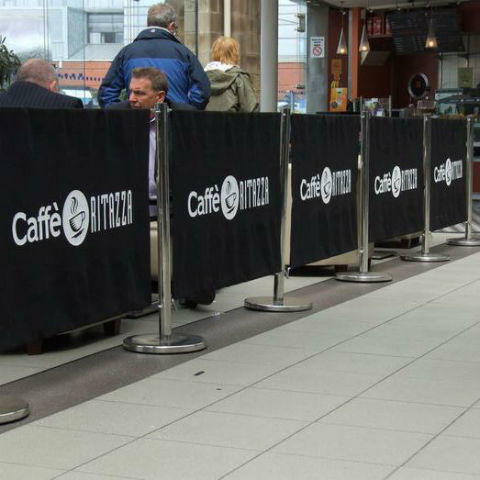 This Black Cafe Barrier System can be used for different applications, designated seating area, queue management, to block off an area etc. 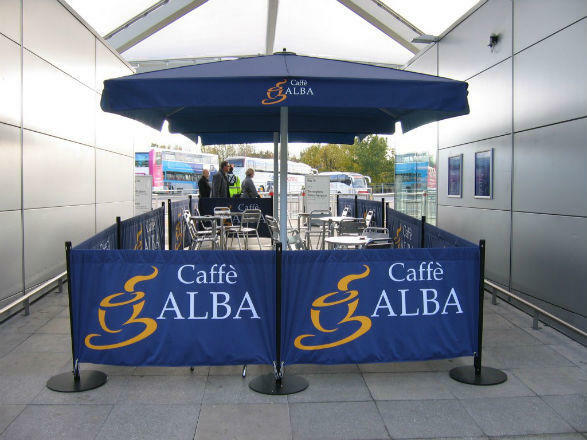 This completed kit includes two powder coated black upright poles with bases, cross rails in your chosen size, 1200mm, 1500mm wide or 2000mm wide a printed café windbreaker banner in your choice of colour or print and spring clips to attach your banner. Posts complete with child friendly hole blanks. The combined weight of the pole and base is 12.5Kg. 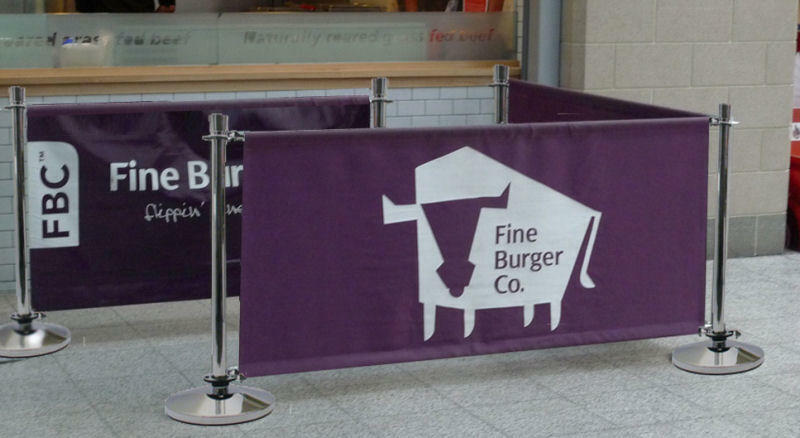 This completed kit includes two shiny chrome upright poles with bases, cross rails in your chosen size, 1200mm, 1500mm wide or 2000mm wide a printed café windbreaker banner in your choice of colour or print and spring clips to attach your banner. Posts complete with child friendly hole blanks. The combined weight of the pole and base is 17.5Kg. 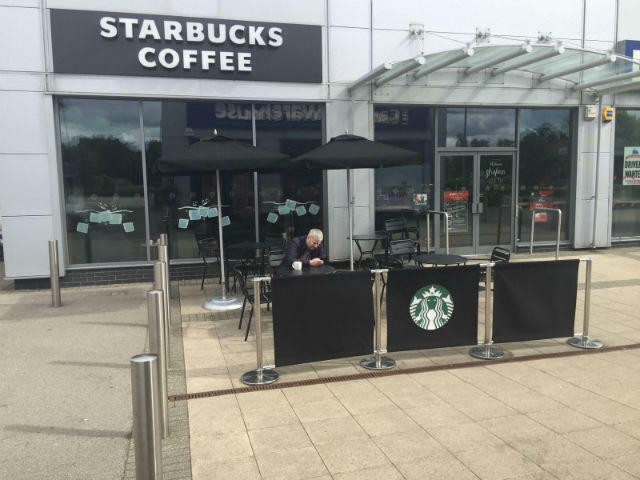 How does the banner attach to the poles? 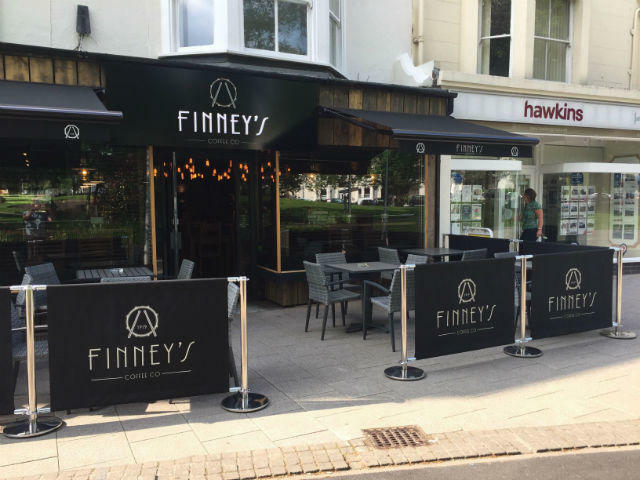 The top of your banner is attached with the cross rails. The cross rails allow for a traditional loop graphic fixing. The bottom of your banner is attached using spring clips (included) to add tension. How much do the pole and base weigh? The combined weight of the pole and base is 12.5Kg. The combined weight of the pole and base is 17.5Kg.